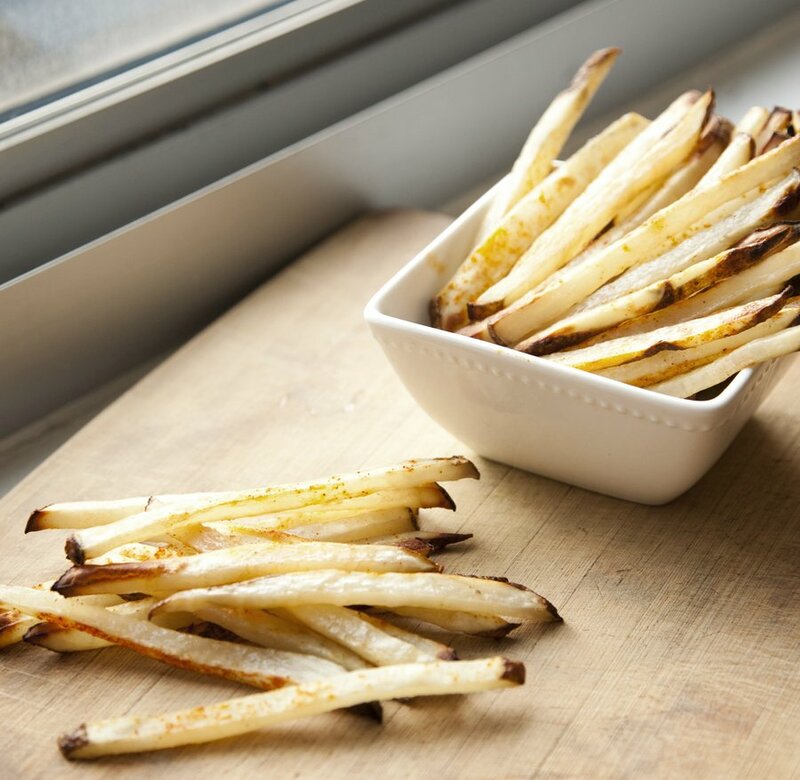 I have done many a French Fry before like my Duck Fat Fried French Fries and my Sweet Potato Fries, but last night I made simple, thin baked French Fries to try and turn my guilty pleasure into a healthier side dish. 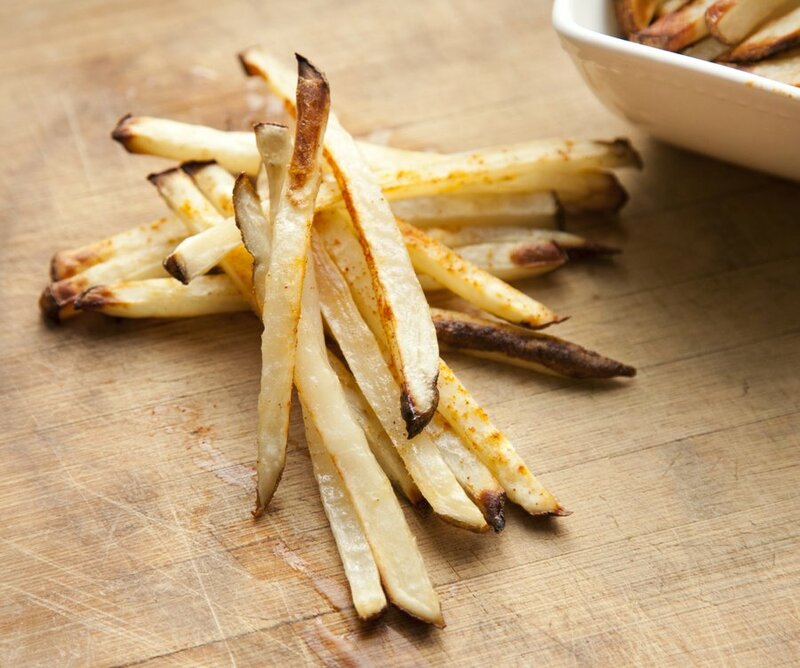 I like when my fries have a little crunch to them but also a little chewiness - this method of cooking gets that exact texture. 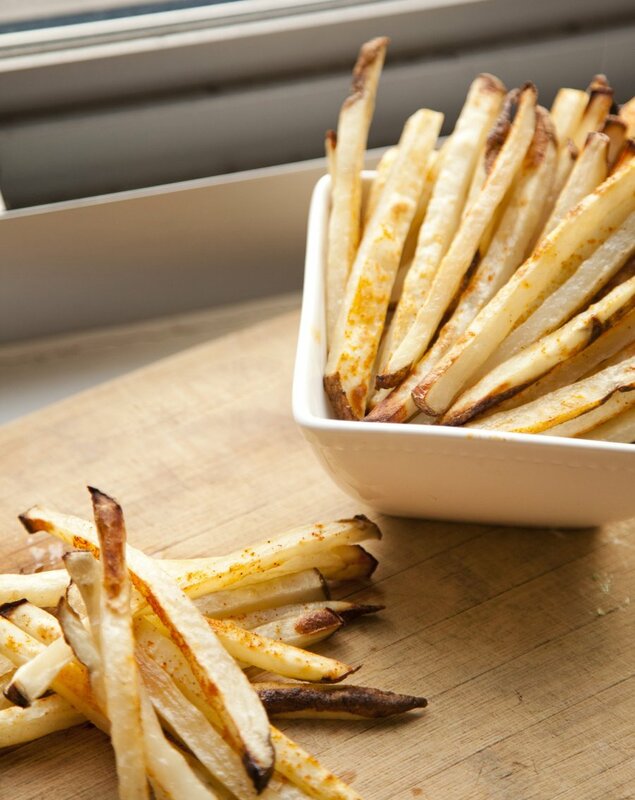 I seasoned the fries minimally, because the fries I love the most usually just have a little salt on them. 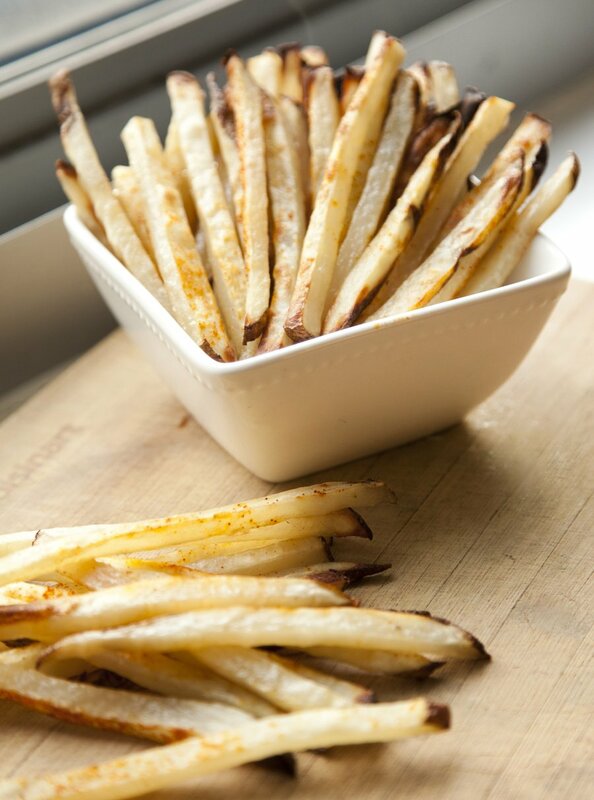 Healthy Baked French Fries - easy and delicious! Pre heat your oven to 400 degrees. Scrub the outsides of your potatoes. Square off your potato by cutting the 4 long sides of the potato (making the potato look more like a rectangular block). You don't need to cut the ends, just the long sides. From the rectangle, cut 1/4" thick slabs so that you have 1/4" thick rectangles. 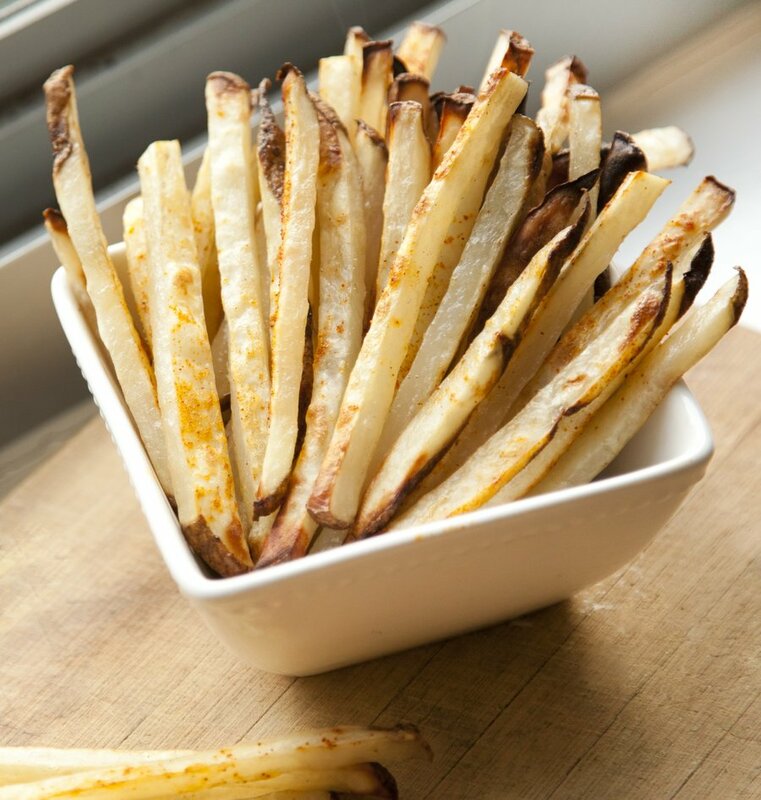 From there, julienne each of the slabs into matchstick fries (1/4" thick all around). Put your fries in a large bowl. 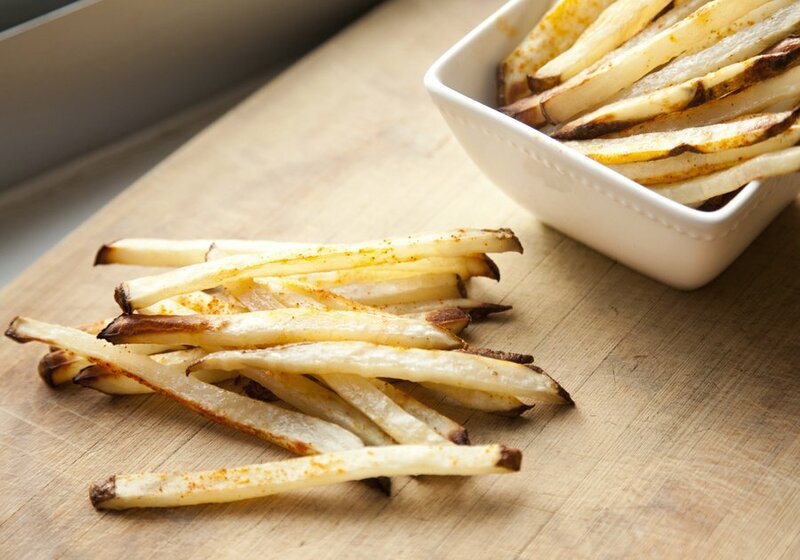 Add in your Olive Oil, and toss together to coat all the fries in oil. 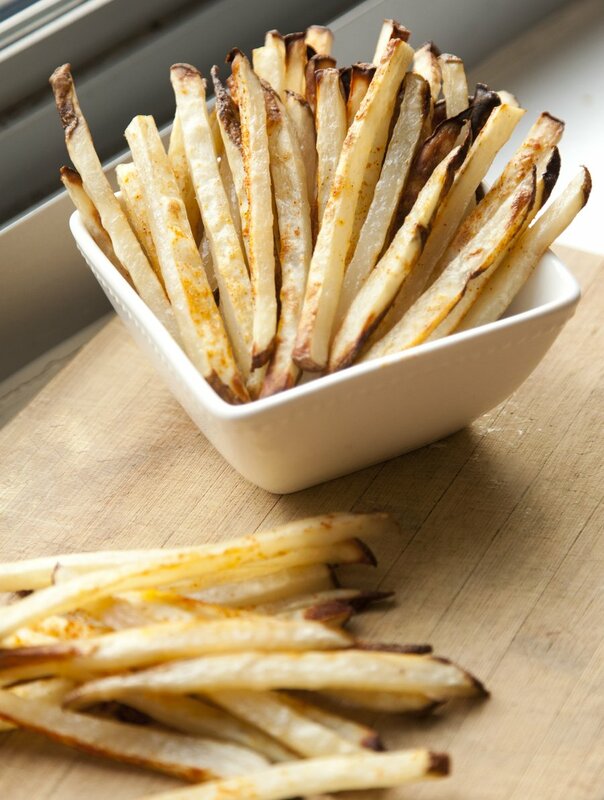 Lay the french fries on a resting rack and place on a baking sheet. Evenly top with salt and smoked paprika. Bake in the oven for 35 minutes. Turn the oven up to Hi Broil and bake another 3-5 minutes, or until slightly crispy. Serve hot.